Bring loved ones with you and enjoy the scenic landscape of Westgate in Alabang, Muntinlupa City accompanied by stunning symphonies from some of the country’s best chorale groups. For three weekends of December, different chorale groups will be gracing Westgate’s Activity Park every 7 p.m. to welcome the yuletide cheer! Kicking off the festivities is premier string quartet SJT Strings on Dec. 8, followed by music from Awiting kay GLEEng: Harana grand champion National University Chorale on Dec. 9. 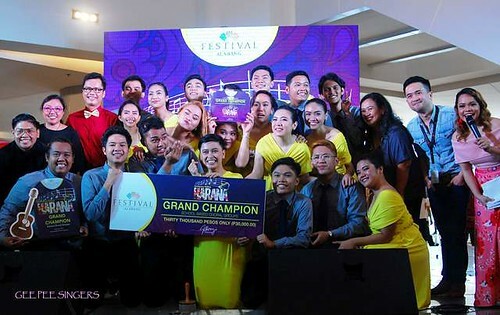 Dec. 15 will again feature SJT Strings, while Dec. 16 will have the award-winning Don Bosco Technical Institute Boscorale. To wrap up the presentations during the pre-Christmas weekend, 2016 recipient of the National Commission for Culture and the Arts’ Ani ng Dangal award Kammerchor Manila will be taking the stage on Dec. 22. On Dec. 23, the unique voices of De La Salle University Dasmariñas Chorale will officially close the series right in time for Christmas! Ring in the holidays in the most melodious way at Westgate! Westgate Center is a premier development project of Filinvest Alabang Inc. in Filinvest City, Alabang, Muntinlupa City. The 9.2-hectare open-air shopping and dining complex boasts of a relaxing atmosphere perfect for rest and recreation. Visit the Westgate Center’s official page at facebook.com/WestgateAlabang.